What can I say about desk lamps? Up until recently I did not give them much thought, but as I get a little older I find that having a desk lamp is a nice addition to my writing needs. When it comes to desk lights the old stand by screw in light bulb kind are fine, but we live in the modern ages and that comes with modern solutions such as the LED light. 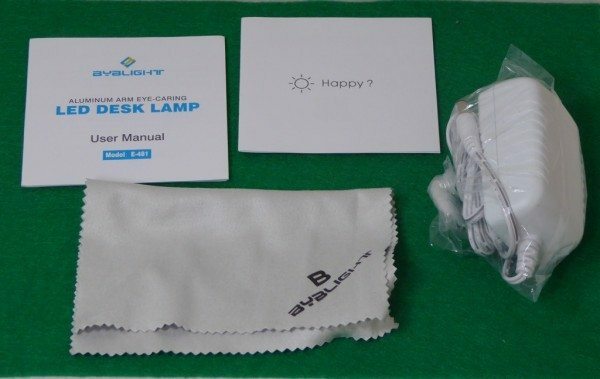 During my research on the internet, I was amazed at how many different iterations of LED desk lamps there are. Multi-LED multi-brightness and multiple manufacturing materials. In the middle of my search for a new desk light, BYB Lighting offered us the opportunity to review their model E-481 desk lamp, which I gladly accepted. Of all of the features, the one that stands out to me is the adjustable color temperature feature, moving from a cozy yellow and mild warm white to a powerful natural white and a pure white. These color ranges go from a 3000K on the Kelvin scale to a 5700K on that scale. I will admit that I do not necessarily understand this scale other than it changes the color of the light. 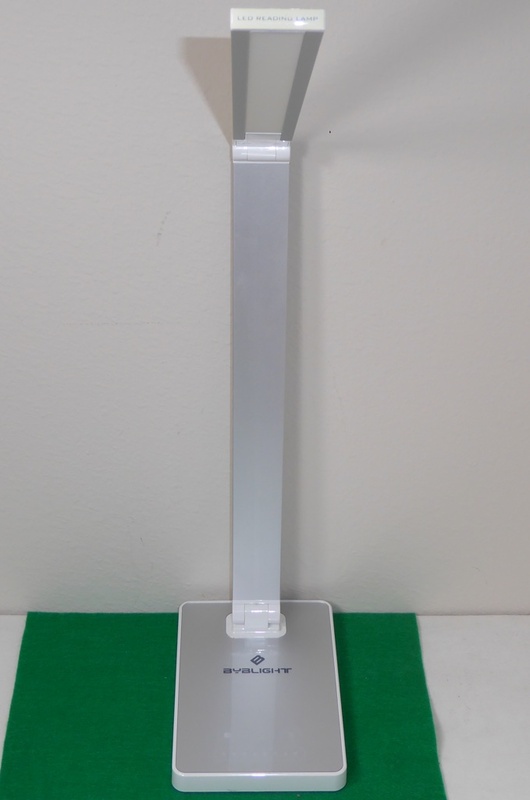 The BYBLight E-481 has two basic parts the base and the light arm. 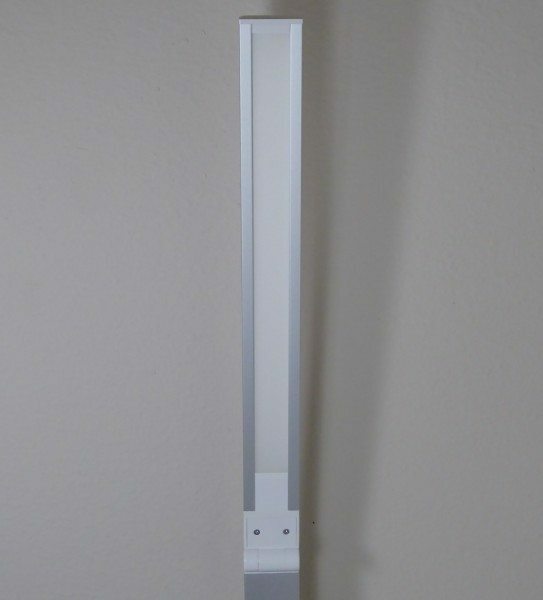 The light arm is comprised of two long bars connected to each other and the base by hinges, the hinges allow adjust the light to sit over the area that you want to light up. The underside of the top light arm houses the LED lights covered by a translucent cover. The top of the base unit of the E481 has the BYBLight and logo and the lighting controls. The left button turns the light on and off. The right button controls the lights color temperature. The dots below the button control the lights intensity, this works by sliding your finger across the dots. Sliding from left to right brightens the light. 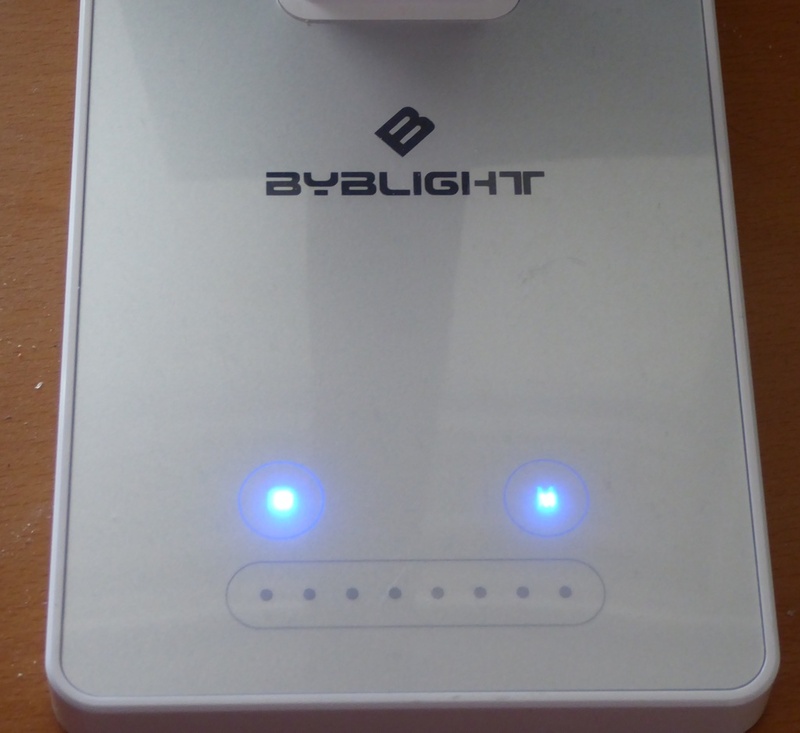 The front and sides of the BYBLight E481 have no special features, the rear of the base has the power supply input and the 5V/2A USB port. 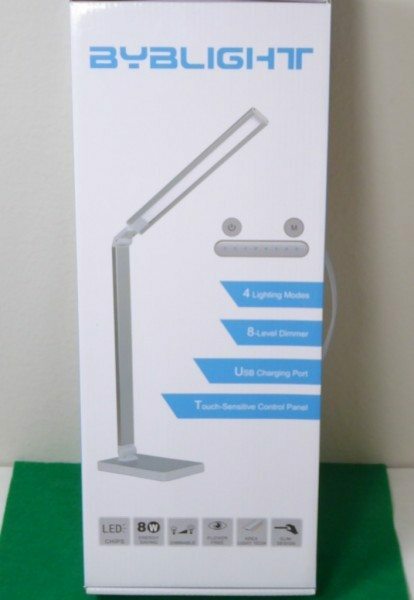 As I stated in my opening, I was actively searching for a desk lamp to use on my desk. In my search I realized that I was probably not going to find the perfect lamp for me, so I had to look for a lamp that had the features that met my needs, size and function were at the top of that list. Although the base size was a little bigger than I would have liked all the functional features make up for that. As far as functionality goes, I was pleasantly surprised by the light color temperature controls. I don’t think most people will use it on a regular basis, but it is a nice feature to include. So, what’s my bottom line here? I like the BYBLight E481. Even though this is not my perfect desk light (I don’t think it exists) it is close. The brightness levels are great, the USB port adds an additional level of convenience and the style fits in nicely with today’s work environment. At a current price of $49.99, this light provides a good value as well. 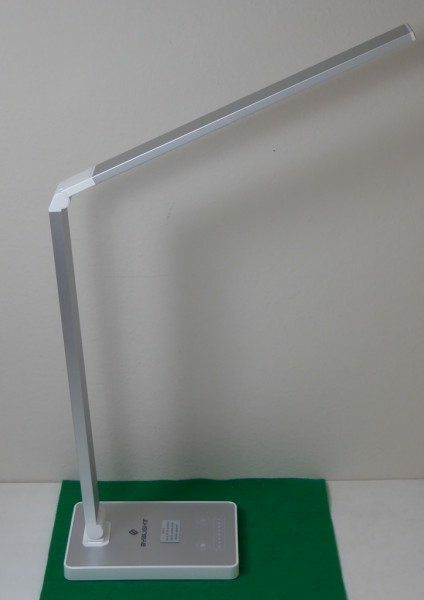 If you are looking for a new desk lamp this one should be on your short list.